There was a time when spectacles were meant for older people and failing eyesight meant you were getting old. But this is not true any more. Little children wear spectacles and many youngsters have sight problems these days. One of the major reasons behind this is our obsession with screens - big and small. From video games to phones and tablets to TVs - we are spending more time in front of a screen than ever before! This is why it is now very important to eat food that protects your eyes. 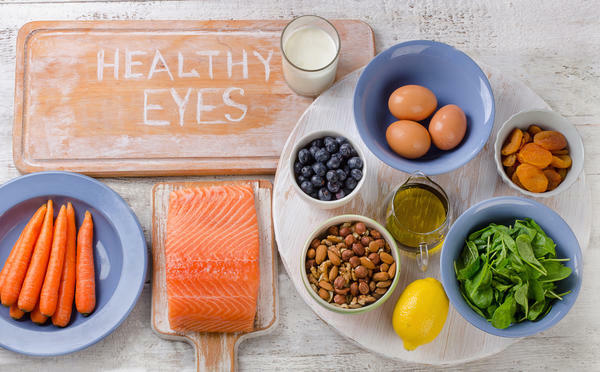 Fatty fish like Salmon, Tuna, Mackerel and Sardines are rich in Omega 3 fatty acids which help in protecting eyes. Similarly nuts like cashews, walnuts and peanuts are also rich in good fats and help in healing damaged eyes. Other good fats like avocados and whole eggs are also great for your eyes. Leafy green veggies like Spinach, Kale, Collards etc are rich in Vitamin C, lutein and zeaxanthin. These food items also help in protecting the eyes. Carrots and sweet potatoes are rich in Vitamin A and Beta Carotene, both of which are good for the eyes. Besides eating a diet rich in these food products, you can protect your eyes by reducing your screen time and by constantly taking breaks if you work on a computer for long periods. Dietary Changes You Need to Make When You Have Bad Acne! Is It Possible to Improve Vision Naturally? Is Your Child Eating These Foods? Learn to Prepare Meals like a Boss!